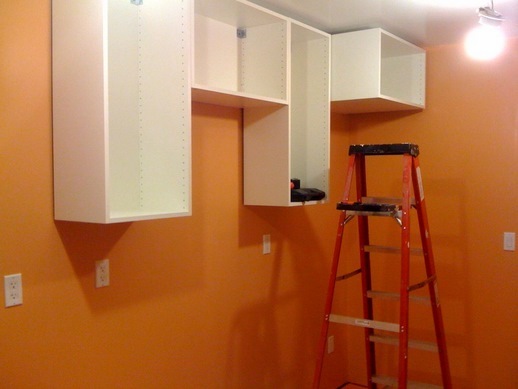 Yes, that’s right – we’ve started installing the upper kitchen cupboards. We are planning on having the upper convection/microwave oven installed by the end of the week. It’ll be the first time we’ve had an oven since we moved into the house, and that’s damned exciting!